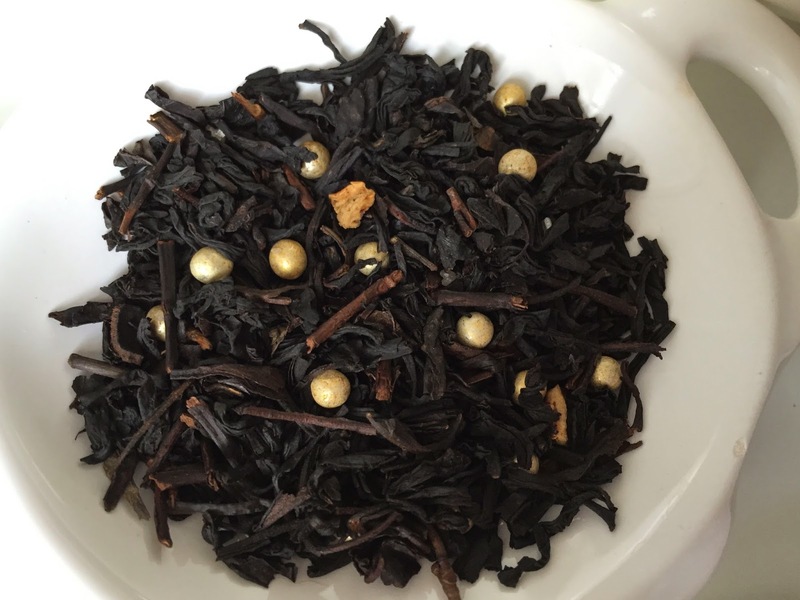 Glitter and Gold is a fun black tea with gold sugar balls and silver sugar crystals. 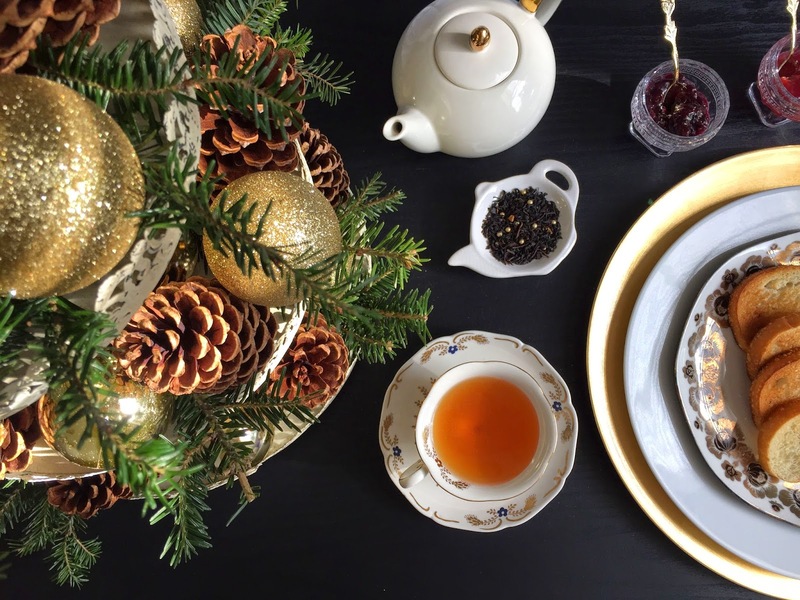 I was initially drawn to the tea because of the gold sugar balls. Who doesn't love shiny things? They are so cute! It smells very, very sweet. It has a strong floral and vanilla scent, very similar to the Cream of Earl Grey. However, it does not taste quite as strong as it smells. For a black tea, I would say it is very weak (1 tsp per 4 oz/118 mL). It is subtly sweet because of the sugar crystals. My favorite part about the tea is the shimmer. 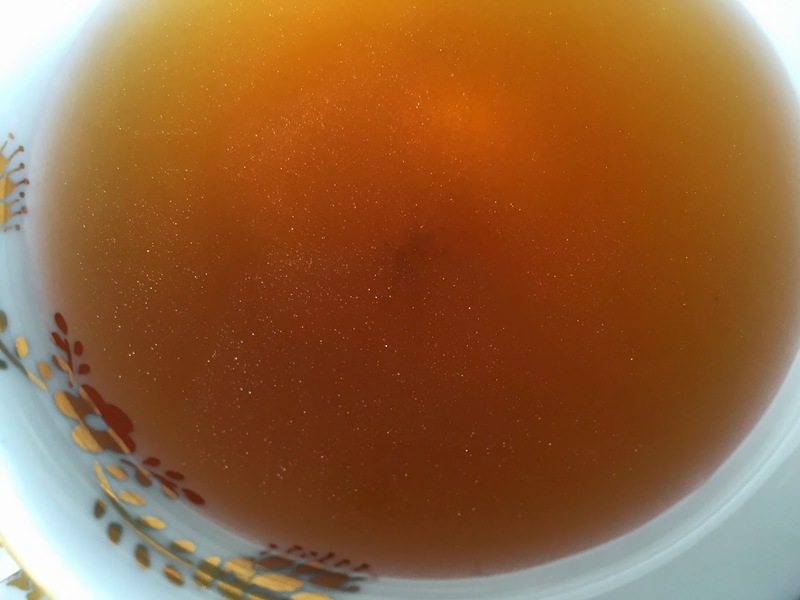 The glitter falls off the crystals and causes the tea to shimmer. I love how festive and fun it is. I would highly recommend this as a holiday gift for a friend who likes black tea. 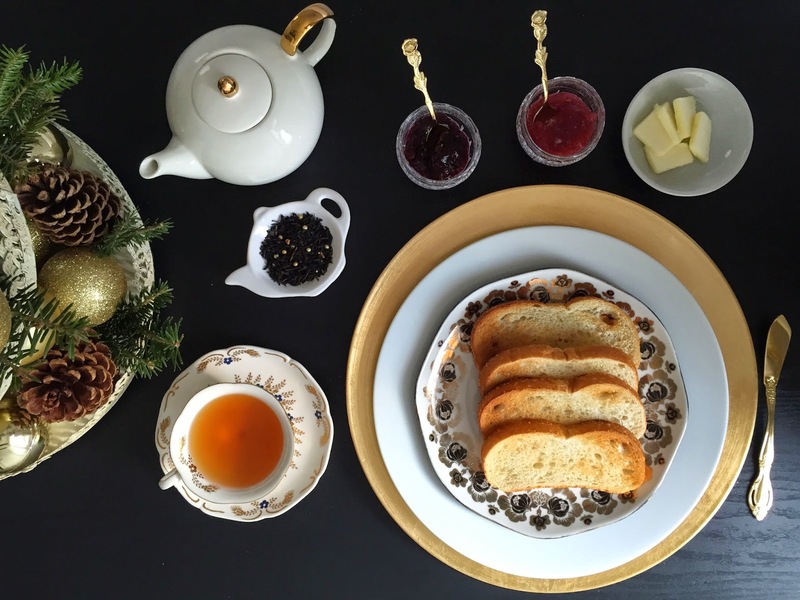 It is perfect as a Christmas tea (and any other celebratory occasion)! I loaded my tiered cake stands with ornaments, cinnamon-scented pinecones, and extra tree branches for a festive arrangement. It smells great and matches my tree. Ask for the discarded branches from your Christmas tree vendor to make wreaths and to add extra greenery to your home. They often give them away for free! For more ways to decorate cake stands, visit Stone Gable for inspiration!